Central government is going to launch Solar Charkha Scheme for women employment generation. Subsequently, govt. will launch this scheme in Beed district in Maharashtra in April to generate 1100 jobs per panchayat – around 5 crore jobs across the country. In addition to this, charkha scheme will also promote Khadi & help in regaining India’s glory. Initial budget is Rs. 550 core for first 2 years. 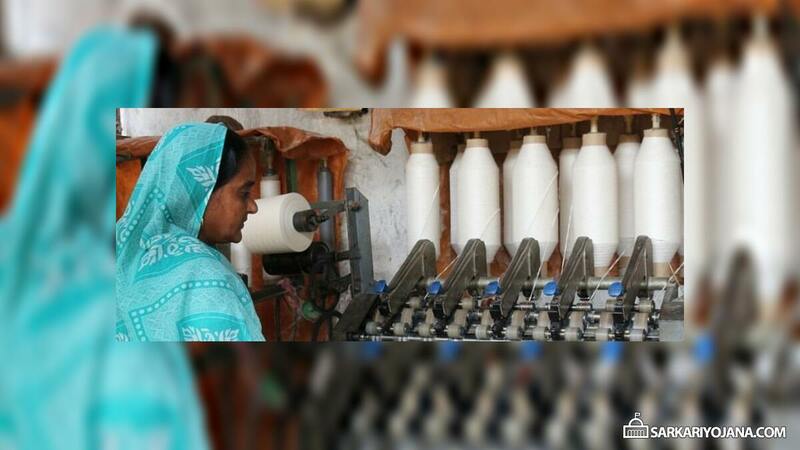 This scheme will get launched in Maharashtra as the conditions are favourable for textile industry. Accordingly, govt. can develop an entire cluster of solar charkha projects there. This initiative will create 1 lakh direct employment to 1 lakh persons. This scheme will engage men and women meaningfully in their premises thereby generating wealth. MSME has launched the Mission Solar Charkha for implementation of 50 Solar Charkha Clusters across the country. To provide Skill Based Training which will result in employment generation. Subsequently, to promote local level enterprise for the poor and needy people. To promote and revive Khadi. Promoting Green Energy and environment friendly Khadi Fabric. Accordingly the primary objective is to make this scheme sustainable and replicable model. In addition to this, central govt. makes it compulsory that all the govt undertakings must procure 20% of their their requirements from MSMEs. Accordingly, govt. this scheme will promote Khadi and also eradicate poverty through direct and indirect intervention, support and services. Central govt. is going to start Solar Charkha Mission in order to harness non-conventional solar energy which will result in employment generation. Accordingly, govt. will develop agro clusters in Rural Areas and Industrial Clusters in Urban Areas. This scheme will result in decentralized development of Rural India. Central govt. will start Solar Spindle Mission under this scheme. This scheme will consist of 500 solar spindles while its cluster will contain 4000 spindles. Accordingly, govt. will make an investment of Rs. 40,000 crore in every Lok Sabha Constituency. The main focus is to build a society where people will have equal and sufficient economic and social opportunities. Accordingly, Solar Charkha Scheme will improve the standards of living of people where people can make contribution towards the overall development of the country.